New research shows that negative absolute temperatures and perpetual motion machines are still out of reach, no matter how you tackle it, and no matter how small you try to make it. 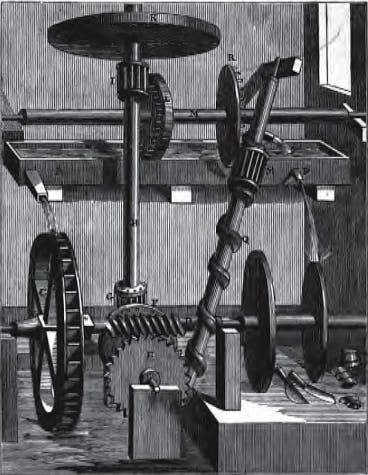 A 1660 wood engraving of Robert Fludd’s 1618 “water screw” perpetual motion machine, widely credited as the first recorded attempt to describe such a device for useful work. The concept of a perpetual motion machine has been an enticing one since it was first thought of. Unfortunately, it’s doomed to fail from the very start, by the very core of our physical laws. Imagine this: a machine that runs continuously without requiring any external energy, basically creating work without energy input – that sounds too good to be true; as a matter of fact, it is too good to be true, unless pretty much everything we know about physics turns out to be wrong. But that hasn’t stopped people from trying. Some researchers (or faux researchers) have tried to defy the laws of thermodynamics, even going ahead and downright forging their results. More recently, people have moved from ‘traditional perpetual motion machines’ to microscopic ones. Inventions that relied on spin systems and ultracold quantum gas, seemed to suggest that perpetual motion machines may be more than pie-in-the-sky notions – to the untrained eye. Now, researchers from MIT and the Max Planck Institute for Astrophysics have put the final nail in these alleged perpetual motion machines, showing that all these ideas, while innovative, don’t illustrate the dynamics of perpetual motion. The main claim of such experiments is that they are able to produce systems with negative absolute temperatures, or temperatures below 0 degrees Kelvin. If this were actually true, then than the machines could actually produce more work than the heat energy put into them – a key element of any perpetual motion machine. Dunkel and Stefan Hilbert, a postdoc at the Max Planck Institute, methodically analyzed the equations used in earlier studies to calculate absolute temperature. They found that, using the Gibbs equation, they calculated positive absolute temperatures in inverted systems that scientists had thought were negative. Their new calculations are fully compatible with the laws of thermodynamics as we know them and agree with standard measurement conventions for pressure and other thermodynamic variables. In other words, they showed that while a system may exhibit inverted spread of atomic or molecular energies, this doesn’t necessarily mean a negative absolute temperature. Peter Hanggi, a professor of physics at the University of Augsburg, says the paper’s findings will help scientists make much more accurate interpretations of rare, exotic systems. As for an eternal motion machine… the odds are anywhere between impossible and very slim. “If you create a new class of systems, that’s a huge experimental feat,” Dunkel says. “But if you go on and interpret the things you measure on these systems, you need to be really careful. If you make just a small mistake in your assumptions, it can amplify hugely.”, Dunkel concludes.